In our latest Collaborative Learning session, East London cultural partners explored Social Return on Investment analyses with Lizzie Trotter from MB Associates. In the second of two sessions exploring Social Impact and Social Investment Funding, members of the Collaborative Learning Programme came together to delve deeper into how we account for, evidence and communicate the change we create through our work as arts practitioners and how this can be harnessed to our advantage. 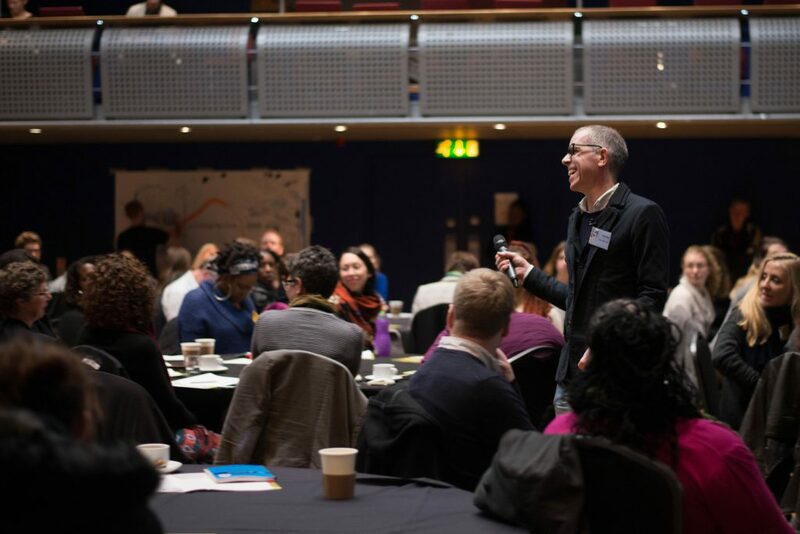 Read about the first session on Measuring Impact in the Arts. Guided by Lizzie Trotter from MB Associates, we were introduced to the core principles of the Social Return on Investment (SROI) approach. An SROI analysis can be used for planning and evaluation and is a brilliant tool to help tell the story of the difference your organisation makes in terms of financial, social, and environmental returns. Read MB Associates guide to SROI methodology. Create a story of change to understand how your project or activity leads to change. Watch this video created as part of the Happy Museums project for a great intro to the Story of Change approach. Check out the Global Value Exchange, a crowd sourced database of social impact measurements. Explore an example of SROI analysis in MB Associates report on the impact of Creative Caring in older people’s care homes. Get involved in Creative Schools! Its been an incredible year of Collaborative Learning with 60+ cultural organisations from East London sharing experiences and practice through monthly sessions looking at ‘What Schools Want’, ‘Participation in Action’ and ‘The One About the Money’. We have lots planned for 2017/18 including a new strand exploring ‘Innovation’ that will bring partners together with leading innovators and change-makers in the sector. To find out more about how East London’s Cultural Leaders are working together through Creative Schools and a programme of Collaborative Learning email hello@creativeschools.London.